I don’t make my own macaroni and cheese often, so when I do make it, I want to make it with a twist. I mean, you can buy plain mac and cheese just about anywhere, right? So why not jush it up at home! 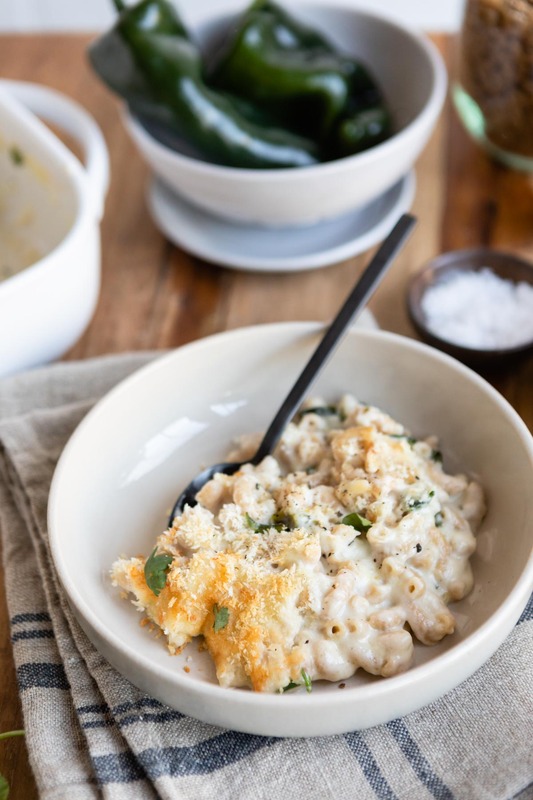 I’ve been making a version of this Sharp Cheddar and Roasted Poblano Mac & Cheese for years and it’s evolved and changed, but this is my perfected recipe. When making mac & cheese, I used to always be hesitant to use a nice, sharp cheddar because aged and sharp cheeses are not known as a good for melting. Instead, I’d combine a small amount of sharp cheese with a melter, like Monterrey jack. This results in a sauce that has a nice texture, but is lacking in the flavor department. After landing upon this guide to homemade mac & cheese in The New York Times, I decided to go for it and embrace the sharp cheddar. While I have to admit, the texture isn’t quite as smooth with this change, the flavor is miles better. Sometimes when I make this, we top it with crumbled tortilla chips instead of panko. 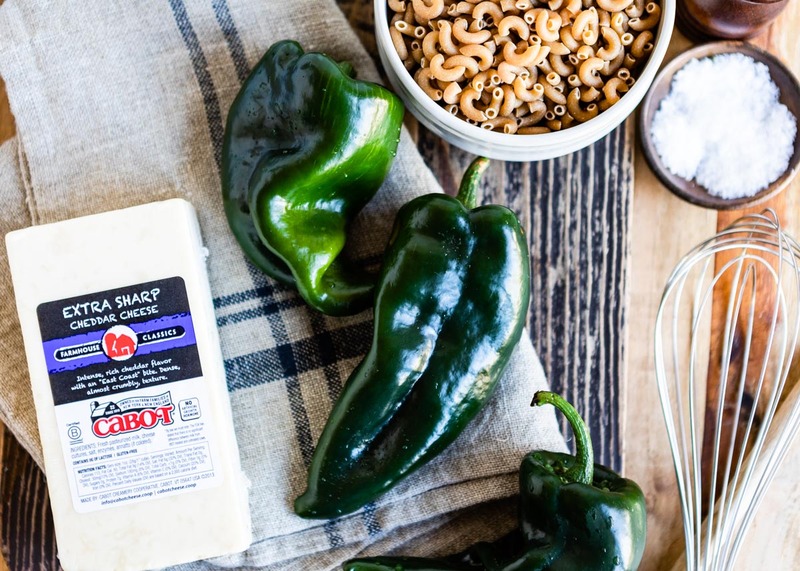 When hatch chiles are in season, they’re a delicious substitute for poblanos. A few times, I’ve added a batch of fajita veggies to the bake to stretch it for a few additional meals. You don’t want to mess with the sauce ratios, but feel free to experiment otherwise! 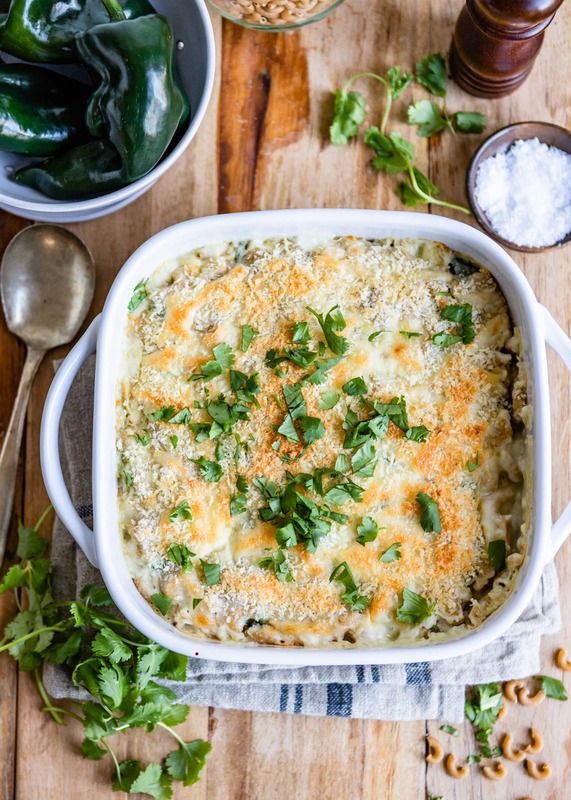 Mac & cheese is great for bringing to a potluck or holiday get-together, but it also freezes beautifully, making it ideal for meal prep. When you’re freezing it, you’ll make the pasta and sauce, combine them in a freezer-safe baking dish, and then cover tightly with a layer of plastic wrap, then foil. Then, let the mac & cheese thaw in the fridge for a day or so before baking. 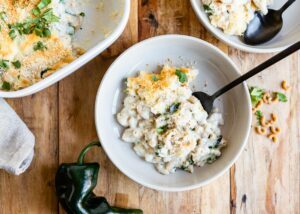 Whether you make it for a potluck or for a weeknight dinner, this smoky mac & cheese is sure to be a hit. Turn on the broiler. 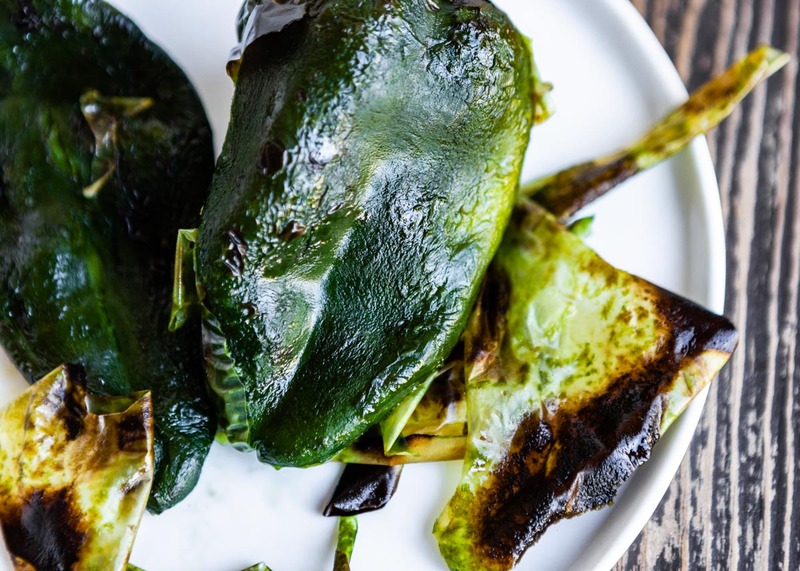 Place the poblano peppers on a foil-lined baking sheet and broil for about 10 minutes or until skin is blistered and starting to blacken, turning halfway through. Carefully wrap the peppers tightly in the foil and let them steam for 5 minutes or so. Peel the skin from the peppers and discard the stem and seeds. Chop the peppers and set aside. Reduce oven temperature to 425ºF. Spray a square baking dish with cooking spray. Melt the butter in a large saucepan over medium heat. Whisk in the flour and cook for 3-5 minutes, or until the mixture is lightly browned. Stir in the garlic and dry mustard, then slowly pour the milk into the saucepan, whisking the entire time. Bring the sauce mixture to a slow simmer; let it continue to simmer, stirring frequently, until it's thickened, about 7 minutes or until the sauce coats the back of a wooden spoon. Remove the sauce from the heat and whisk in the cheddar cheese. Stir in the chopped peppers and noodles, then season to taste with salt and pepper. 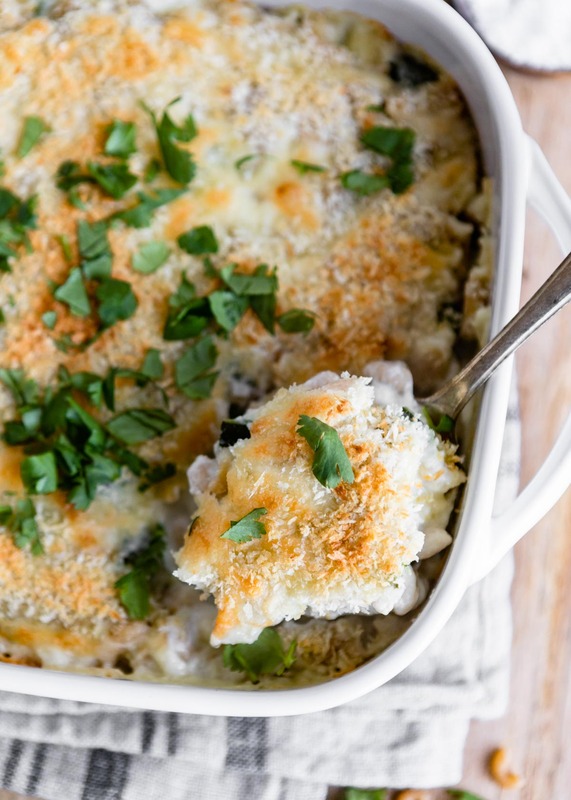 Pour the mac and cheese into the prepared baking dish. Sprinkle panko over the top and lightly spray with oil. Bake for about 25 minutes, or until the sauce is thick and bubbly and the panko is browned. Sprinkle with cilantro if desired and serve. Pre-shredded cheese has anti-caking agents that make it less than ideal for melting into a sauce; if possible, shred your own cheese from a block.